Anybody who visits Chemistry Prof. Maria DeRosa‘s laboratory on the third floor of Carleton University’s Steacie Building will see a landscape of labelled bottles, Styrofoam coolers, refrigerators and long black counters covered with beakers, computers and microscopes. In one corner, dozens of thin plastic tubes fan out from a machine the size of a bar fridge, connecting amber bottles of clear, purple and golden liquids to a nozzle inside a metal box. To an outsider, the lab may look cluttered, but it’s ground zero for a meticulous research project that has the potential to help spark a medical breakthrough. In 2016, for nine months, that mechanical nozzle rhythmically whizzed and clicked as it squirted droplets from the amber bottles into rows of tiny test tubes. Those bottles contained a diverse set of reagents — compounds that cause chemical reactions — which the machine, a MerMade synthesizer, used to create billions of single-stranded DNA molecules. Suspended in drops of colourless liquid, these microscopic strands of DNA are called aptamers, which bind to a variety of target molecules and have a long list of environmental, agricultural and health applications. 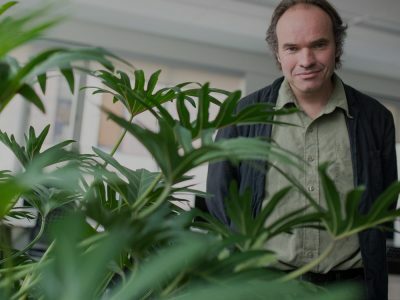 DeRosa’s research group, the Laboratory for Aptamer Discovery and Development of Emerging Research (LADDER), wants to develop aptamers for use in fertilizers that seek out specific plants, for instance, or to detect toxins in food and airborne chemicals. 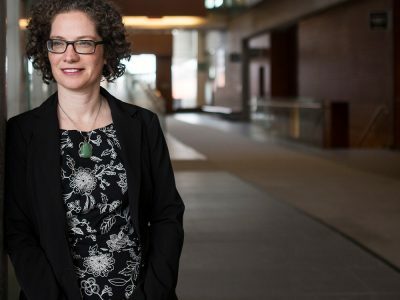 And through a series of collaborations with Carleton Neuroscience Prof. Matthew Holahan, she has also started hunting for aptamers that may help stop the second-most common neurodegenerative brain disorder – Parkinson’s disease. To date, most Parkinson’s treatments have focused on alleviating the disease’s symptoms, not its cause. But DeRosa and Holahan had another approach in mind. In November 2016, after sifting through countless haystacks, DeRosa and graduate students Erin McConnell and Josh Callahan watched expectantly as their synthesizer made a new aptamer they had named A-syn-1. Two months later, test tubes containing A-syn-1 were sent to Holahan’s lab, where he was conducting studies exploring levels of dopamine — a “chemical messenger” that is responsible for transmitting signals within the brain — in mice that had been bred to develop PD-like symptoms such as slow movements, tremors and rigidity. These symptoms are associated with the clumping of a brain protein called alpha-synuclein. 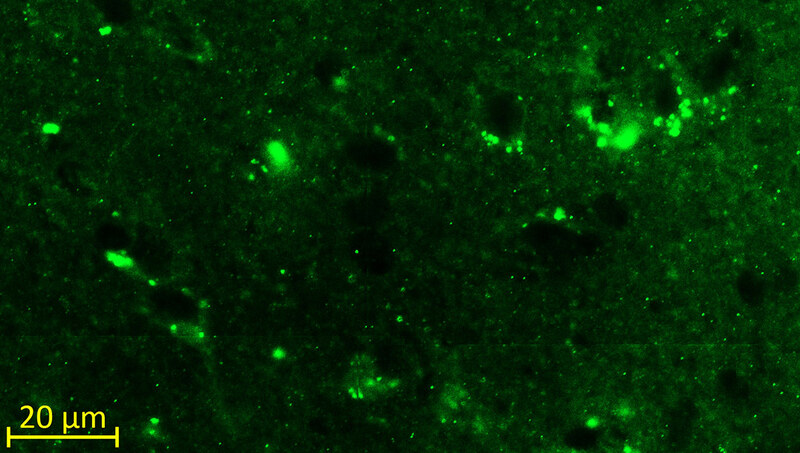 Holahan and PhD student Katelyn Ventura gave mice nine doses of A-syn-1 over three months, but before they could even determine how much of the aptamer had made it into the rodents’ brains, they noticed something incredible. The amount of alpha-synuclein had been cut in half. 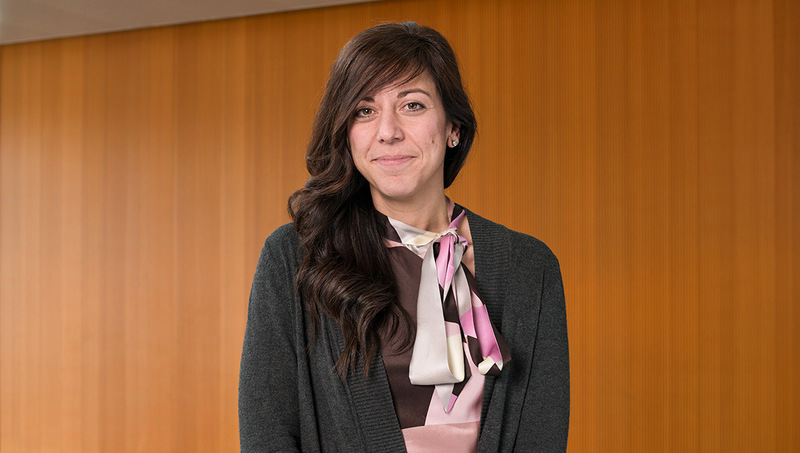 After completing her PhD in chemistry at Carleton in 2003 and a postdoctoral fellowship at the California Institute of Technology in 2004, DeRosa returned to Carleton as a faculty member in 2005. Holahan, who earned his master’s degree and PhD in psychology at Montreal’s McGill University, arrived at Carleton a year later. His research focused on memory, Alzheimer’s disease and neural development. When the two met, they saw that biochemistry and neuroscience could be combined with nanotechnology to advance the frontiers of health research, and they started working together in 2010, investigating connections between dopamine and conditions such as schizophrenia and addiction. Dopamine, which plays a role in both human pleasure and mobility, is as essential to bodily movement as motor oil is to an engine. 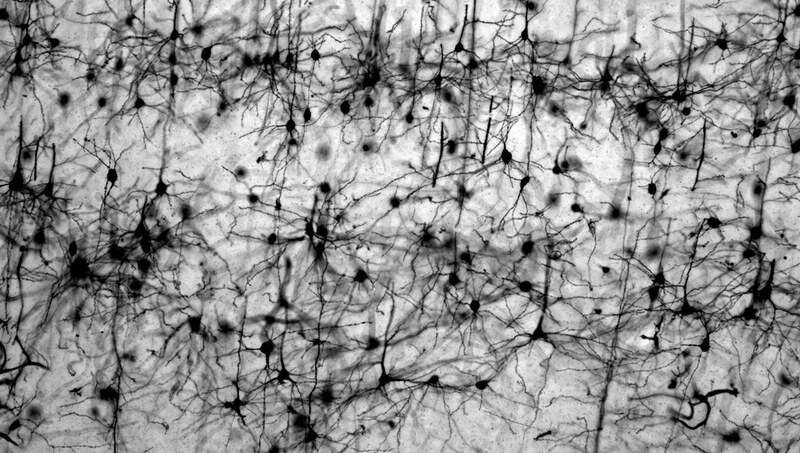 Low levels of the neurotransmitter are linked to both addictive behaviour and neurodegenerative disorders such as PD, which scientists believe may be tied to alpha-synuclein accumulation. Together, DeRosa and Holahan had identified an aptamer that binds to dopamine, but it proved difficult to target dopamine in the brain, and they couldn’t secure the funding they needed for exploratory studies, so they had to come up with a more focused research project. It’s estimated that more than six million people around the world are affected by the mobility disorder first characterized by English doctor James Parkinson 200 years ago. 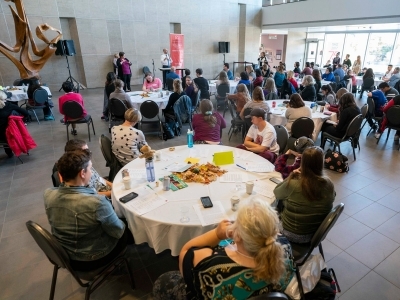 The number of Canadians diagnosed with Parkinson’s is expected to exceed 164,000 by 2031, according to Parkinson Canada. After epilepsy and Alzheimer’s, Parkinson’s is responsible for the third-highest health-care costs in the country, and the debilitating and degenerative disease will only become more prevalent and expensive as baby boomers age. Parkinson’s predominantly affects people who are older than 60, although about 10 per cent of people with the disease are younger than 50, and it can start at a much earlier age. Canadian-born actor Michael J. Fox was only 29 when he was diagnosed with PD in 1991. He quickly became a strong proponent of Parkinson’s research and, in 1999, alongside medical experts, Fox and other celebrities with Parkinson’s lobbied the U.S. Senate for more research funding. Gerald Fischbach, at the time the medical director of the National Institute of Neurological Disorders and Stroke, part of the National Institutes of Health, declared that a cure was imminent, possibly within a decade. With this in mind, Fox created The Michael J. Fox Foundation for Parkinson’s Research in 2000 and ran it like an entrepreneur, taking large risks for potentially great, and quick, results. Without an endowment, the foundation annually invests every dollar it fundraises, and since its birth has contributed more than US $800 million to support research and developing new therapies. Although the exact cause of Parkinson’s is unknown, its onset is associated with a combination of environmental and genetic factors. 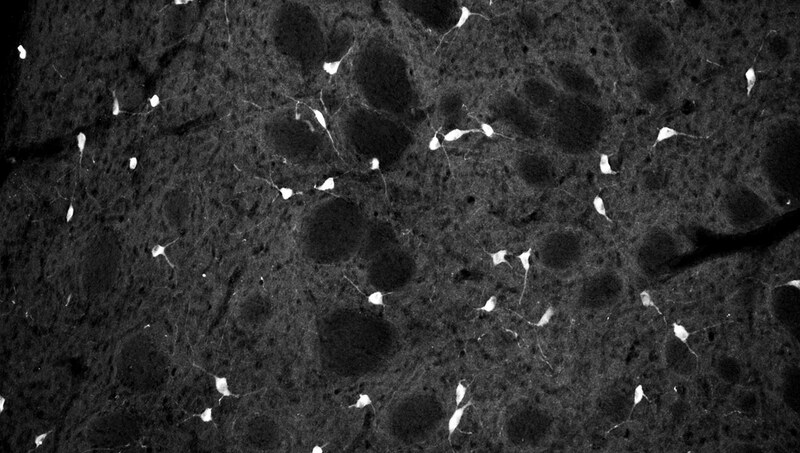 In nearly every case, alpha-synuclein aggregates into clumps of spaghetti-like filaments that researchers believe somehow lead to decreases in dopamine and other changes in the body. In 2015, DeRosa and Holahan received an US $80,000 seed grant from The Michael J. Fox Foundation to explore the possibility of using an aptamer-based therapy to tackle the alpha-synuclein puzzle. The startling results in Holahan’s lab occurred in March 2017 and a month later, when DeRosa excitedly presented their findings on A-syn-1 to the foundation in New York City, they were given a six-month US $50,000. DeRosa and Holahan’s approach to the protein clumping is innovative, says Menalled — both the aptamer itself and how they have packaged it with fluorescent purple lipid nanoparticles to overcome the challenge of delivering therapies across the blood-brain barrier (BBB). This highly selective semipermeable membrane, which protects the central nervous system from toxins and pathogens in the bloodstream by only admitting water and essential nutrients, also makes it difficult to get drugs to the brain. 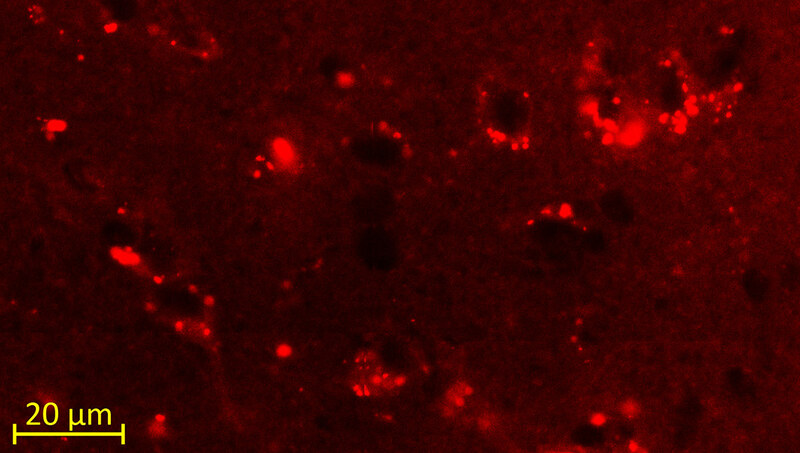 While experts still need to learn exactly how the knotted accumulation of alpha-synuclein is linked to dopamine loss, they know that a key aspect of many neurodegenerative diseases, from Alzheimer’s to Huntington’s chorea, is a protein gone rogue. Each culprit protein plays an undetermined role in the nervous system, and when it overproduces itself into clumps, nerve deterioration isn’t far behind. In the event that A-syn-1 doesn’t lead to a therapy, it could still benefit Parkinson’s experts as a diagnostic or research tool. DeRosa and Holahan are optimistic, however, and after discovering eight interesting aptamers, including A-syn-1, they decided to file a provisional patent for their recipe in October 2017. 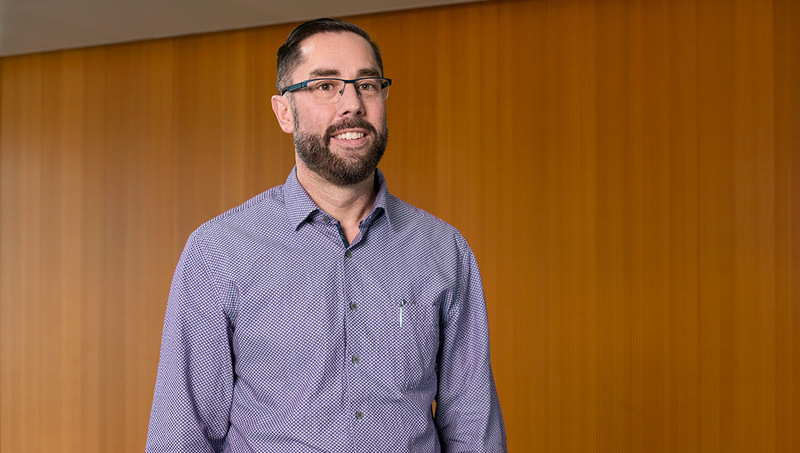 DeRosa and Holahan’s attempt to turn their research into a product is the first project undertaken by the recently launched Carleton Innovation Transfer Office (CITO). Carleton is an inventor-owned intellectual property institution, which means that researchers are usually left to their own devices. But CITO serves as a resource for faculty who want to take their ideas to the market. In the past year, CITO developed a commercialization plan around DeRosa and Holahan’s results, found an appropriate patent agent and funded the provisional patent process, which basically puts their flag on this turf for a year. The office is currently looking for a company that’s willing to invest in this work as the cross-departmental duo continue their research. Holahan — whose shiny new lab on the fifth floor of the Health Sciences Building has a coat of arms featuring a rat riding a mythological hippocampus and the motto labor omnia vincit: work conquers all — wants to perform a more comprehensive study to find out where the aptamer ends up in the brain and how long it stays there. There are dozens of “what ifs” and other foundational questions that need to be answered before human trials can begin. Whether their lipid-based delivery system is the best vehicle for the therapy and how effectively A-syn-1 performs in a larger study are equally important queries. By October, DeRosa and Holahan plan to add new data to beef up their application for a full patent, and because it has global market potential, CITO could also file to the Patent Co-operation Treaty, which would speed up patents in national offices throughout the world. Creating a new drug therapy is a huge undertaking. It entails working with or launching a company, and abiding by stringent regulations during years of testing. But considering that the first trials of A-syn-1 had very promising results, DeRosa is hopeful. 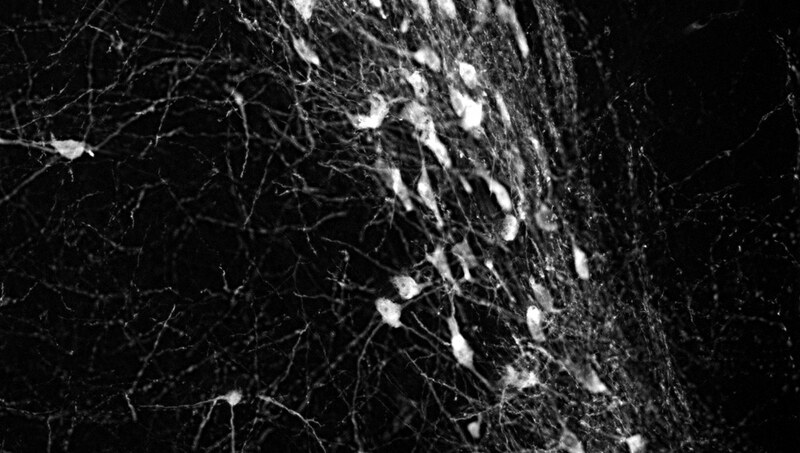 The green microscope image featured above is from Matthew Holahan’s experiments and shows the accumulation of a protein called alpha-synuclein in a mouse brain; the bright spots show alpha-synuclein aggregating into clumps of spaghetti-like filaments that, researchers believe, lead to decreases in dopamine and Parkinson’s symptoms such as slow movements, tremors and rigidity. The red image shows A-syn-1, the aptamer Holahan and Maria DeRosa designed to target the protein. 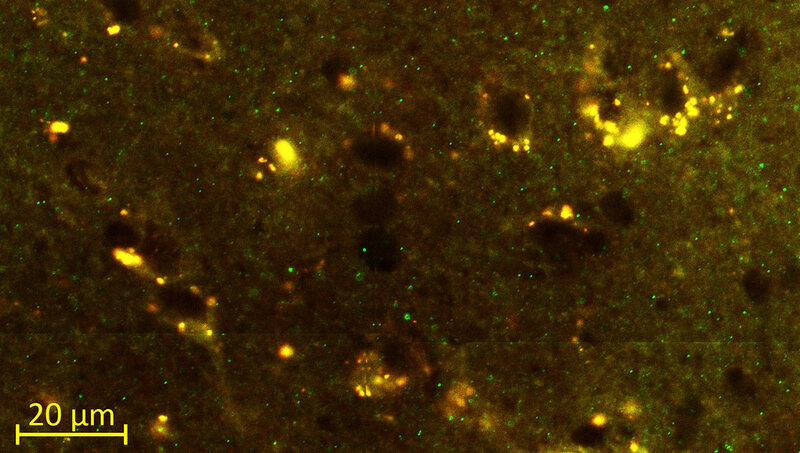 The yellow image shows the successful co-localization of A-syn-1 and alpha-synuclein, which has the potential to help stop Parkinson’s disease. 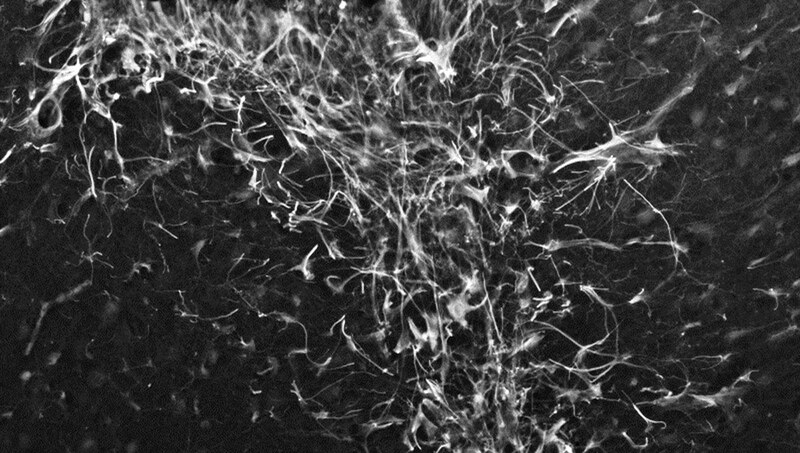 The black-and-white images, in order of appearance from top to bottom, show: dopaminergic neurons in the substania nigra, part of the midbrain where Parkinson’s pathology occurs and affects motor function — dopaminergic neurons are the main source of dopamine in the brain; the motor cortex, where Holahan and DeRosa’s research is focused; and what neurodegeneration looks under a microscope. Chemistry is all around us. Often called the central science, chemistry examines the processes that produce our food, clothes, medicines and hundreds of materials we use every day. Where can we see chemistry in our daily lives? Chemists have developed compounds that save lives and relieve symptoms of disease. Chemists have also made important contributions to radiation therapy, water purification and DNA fingerprinting. Chemists have also been behind many of the materials such as plastics, ceramics and nanomaterials that have benefitted society. However, many problems still remain in the world. Pollution, global warming, disease, and malnutrition are but a few. These problems will be better and more quickly solved by a society that understands and appreciates the role chemistry can play in contributing to solutions.